The Jordans & Ryvita Company is one of Europe’s leading food manufacturers. First awarded the business in 2012, Beigebell was found to be the perfect partner to deliver high quality, ethically sourced and competitively priced crispbread tins that would support JR’s marketing objectives across Europe. 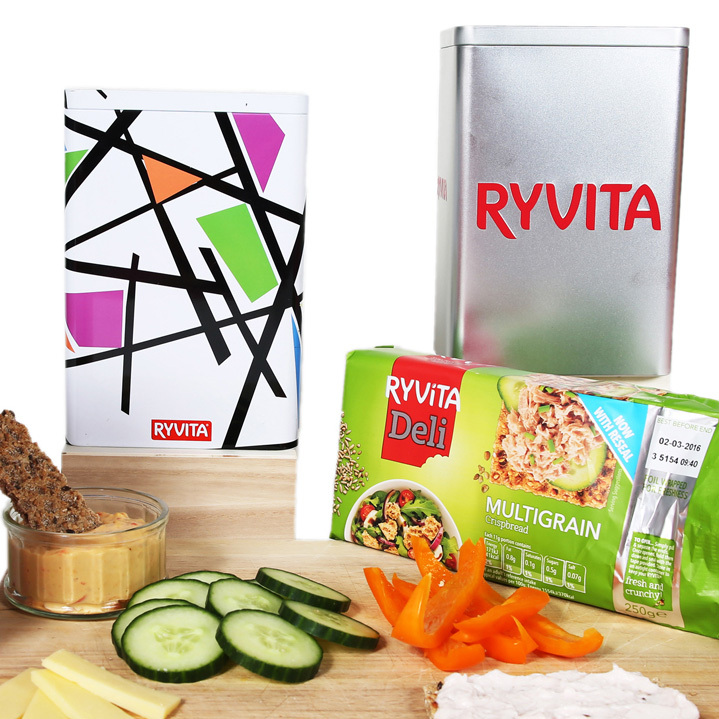 Ryvita Crispbreads are a snack enjoyed on the move, as well as at home. Over the years Beigebell has helped create fantastic food packaging solutions – not only improving storage longevity, but also representing the true ethical character of The Jordans & Ryvita Company. Throughout the entire process Beigebell were so helpful. I really felt like the project was being managed by a skilled, professional team. The end result, a fantastic and unique tin.